Part B (medical insurance) which helps pay for medically necessary doctors' services, lab work and other outpatient care. You pay a monthly premium if you want this optional coverage. Part C refers to the Medicare Advantage program, through which beneficiaries can enroll in a private health plan, such as a health maintenance organization (HMO). You receive Medicare-covered benefits plus extra benefits, such as eyeglasses or a fitness program. Part D is prescription drug coverage. Part D benefit is also offered through private plans. It can be either a stand-alone prescription drug plan (PDP) or Medicare Advantage prescription drug plan (MA-PD) that combines medical and drug coverage..
As you know, some people enroll in Medicare when they turn 65, but many others delay enrolling in Medicare Part B for various reasons (eg, they continue to work and have coverage through their employer or they are covered under a spouses's health plan etc). If you are planning to enroll in Medicare Part A and/or Part B in the coming months, you may also be in the process of choosing a Medicare Advantage plan. 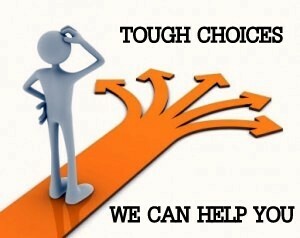 We hope you choose a plan that allows the doctors of Belmont Medical Associates to continue providing your healthcare. At age 65, you are eligible for full Medicare benefits. In most cases, if you're already getting benefits from Social Security or the Railroad Retirement Board, you will automatically get Part A and Part B starting the first day of the month you turn 65. If your birthday in on the first day of the month, Part A and Part B will start the first of the prior month. If you are still working and not on Social Security you can still sign up for Medicare if you choose. While Part A is typically premium-free there are costs associated with Part B. You can enroll three months prior to, the month of, or three months after your 65th birthday. This is called your Initial Enrollment Period. If you do not sign up during your Initial Enrollment Period, a 10% penalty may be added to the Part B premium (unless you have coverage through your - or your spouses's - employer and qualify for a Special Enrollment Period. This 10% penalty is applied to each 12-month period you delay Part B enrollment. For example, if you delay enrolling for two years after your Initial Enrollment Period the penalty would be 20%. in addition, the penalty will continue for as long as you have Part B. If you are not planning to enroll in Medicare Part A and Part B at this time, please just consider this an "FYI" and disregard for now. When the time comes for you to choose a Medicare plan, please contact us to confirm which plans we accept.